Technology is continuously changing, and at such a fast speed, it is hard to keep up with what the latest gadgets are. When it comes to smartphones, the technology packed inside gets better and better each year – better chips, better Bluetooth connectivity, and a better camera. There is one thing, however, that has been more troubling to overcome, and that is wireless charging. Wire-free charging for the iPhone 8 and iPhone X has finally been brought by Apple, even though the idea has been around for some time. Now, however, there are only two formats – Powermat and Qi – battling it out to be at the top. After a constant tug-of-war to win supremacy, it has finally come to an end. 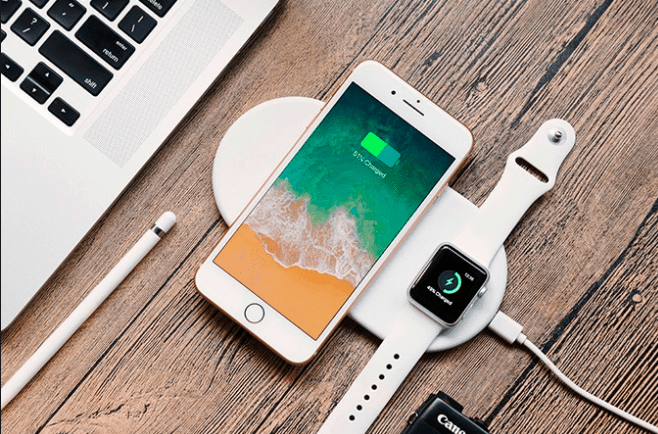 Powermat announced that it would be joining the Wireless Power Consortium, where it will share its technology to promote the Qi wireless standard. This means that the confusion over which charging pad will charge which phone will be over, and wireless charging will be smooth sailing. It has always been hoped that there would be a wireless pad that could be a one size fits all, but one step at a time. After all this time of confusing would-be buyers and phone makers, the Powermat and QI joining forces will mean that it is more likely that your next phone will bring you wireless bliss, and wires will soon be a distant memory. Of course, like all technological advances, this will be slow process, but this step forward will certainly pave the way for the way consumers choose which product to buy. Wireless charging in cars, at work, or in a restaurant are all ways this could make charging your phone that much easier, and it could be a massive change in the technological game.